Download the SDS for our recycled bottle glass abrasive. 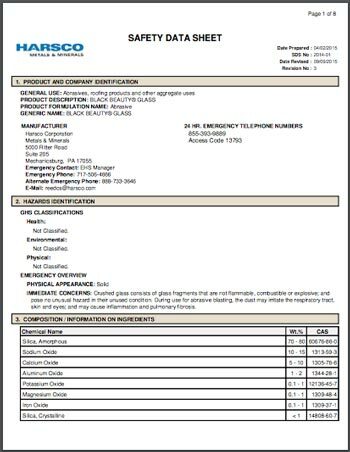 Download the MSDS for our recycled bottle glass abrasive. Learn more about choosing the right abrasive.